1. A simple yet savory scrambled eggs with fresh herbs recipe sure to make an *eggsquisite* breakfast. Get the full recipe from A Couple Cooks . 2. A five-ingredient BBQ chicken-stuffed sweet potato you can load up with chives and pack for lunch! 3. A drool-worthy garlic herb-stuffed pork chop that'll keep that chive love going strong. 4. And a six-ingredient herb-stuffed mushrooms recipe for anyone who doesn't eat meat, but wants to ~stuff~ on a delish recipe. 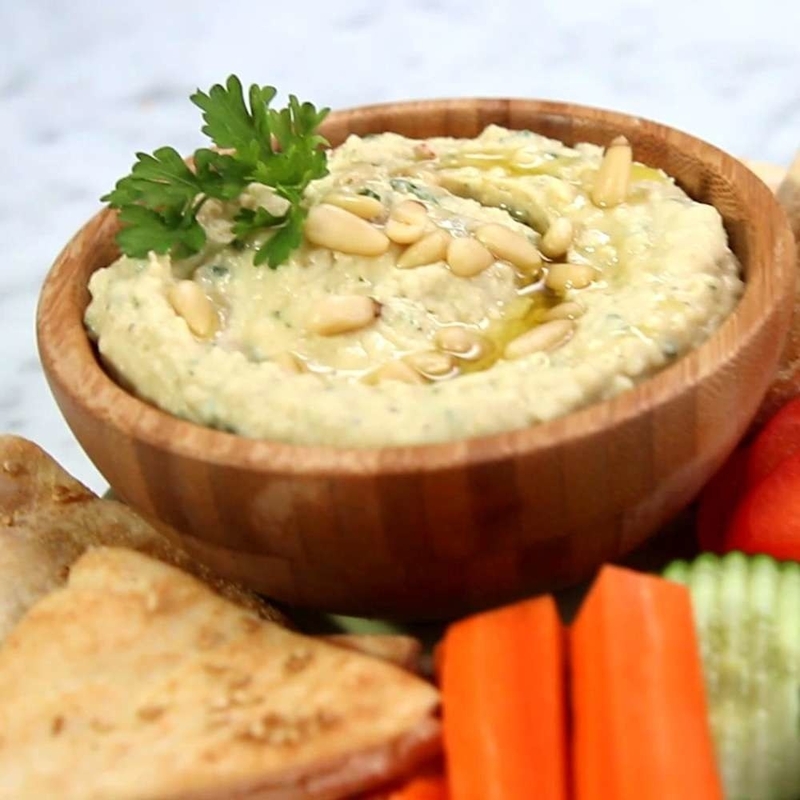 Get the full recipe from Elana's Pantry. 5. A summer potato salad just waiting to be loaded with the dill and chives in the fridge. What even is potato salad without fresh herbs? 6. A carrot dog you can prepare four different ways so you can keep those vegetarian summer vibes going! I want to try these 👀. 7. A super herby spaghetti and chicken meatball dish the fam will ask you to make over and over again. Get the full recipe from pinch of yum. 8. 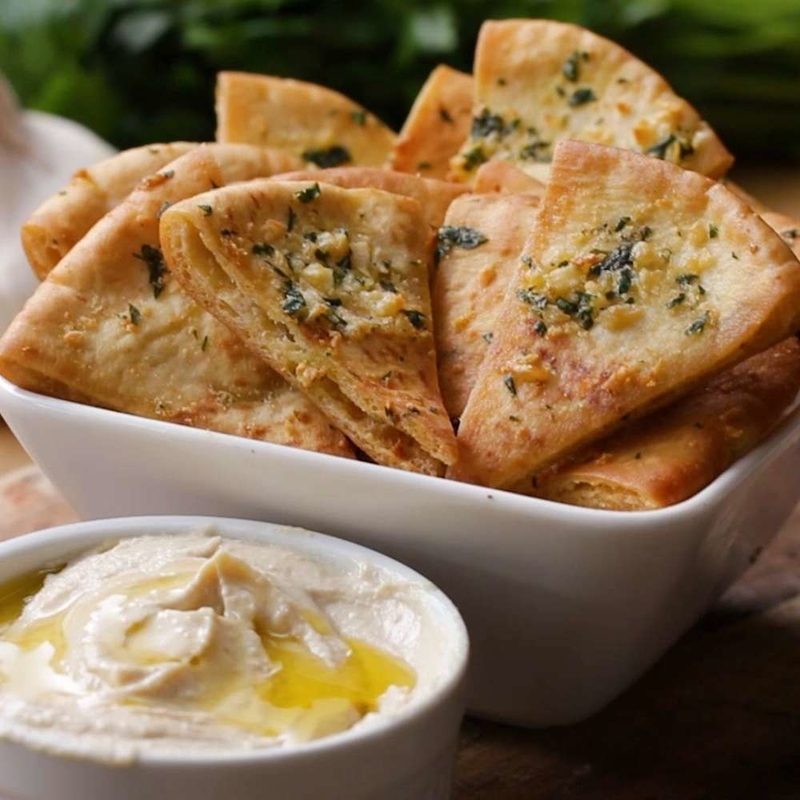 A garlic herb pita chip and garlic herb hummus basically begging to be made together — say bye to all the garlic and herbs in your fridge! The best way to use up fresh herbs is the snack way imo. 9. A mashed cauliflower recipe filled with parsley and chives you can serve alongside your main dinner dish. 10. A lemony herb salad that just may have more fresh herbs in it than your local grocery store. Adding whatever fresh herbs you have on hand onto any salad is a phenomenal way to use them up btw! 11. And a fresh herb vinaigrette sure to make any salad pop with flavor. Get the full recipe from Serious Eats. 12. A garlic herb baked wing dish someone must throw in their oven pronto, because I am salivating profusely and need these in my life. I know it sounds simple but a little salt, a little pepper, some garlic, and herbs will create some of the best chicken you've ever had in your life. 13. A corn on the cob (made honey herb style) you'll want to serve up all summer long. Sweet corn + fresh herbs + honey = heaven. 14. A cilantro, parsley, and oregano-infused chimichurri sauce so your herbs can live on in a tasty sauce instead of dying a sad wilting death. Pair this sauce with steak, pizza, meatballs, and more! It'll last up to two weeks in the fridge. 15. A watermelon salad meant to refresh you on a super hot day. 16. A garlic herb shrimp and spaghetti squash meal that'll impress everyone you have over for dinner. 17. A DIY rosemary-infused olive oil for anyone who wants to taste the taste of herbs in every meal they cook. Get the full instructions from Just Putzing. Check out a similar basil-infused olive oil recipe from epicurious. 18. A delish pesto sauce ready to use up the extra basil you know you're gonna have on hand. 19. And a fig and walnut salad that shall also pair beautifully with my personal fav herb — basil forever. Get the full recipe from pickles n honey. 20. A lemon herb tofu marinade so you can ensure the tofu in your future always tastes amazing. 21. A vegan fruit- and herb-infused popsicle stick I am honestly fawning over, as will anyone who makes this tasty treat. Get the full recipe from This Rawsome Vegan Life. 22. 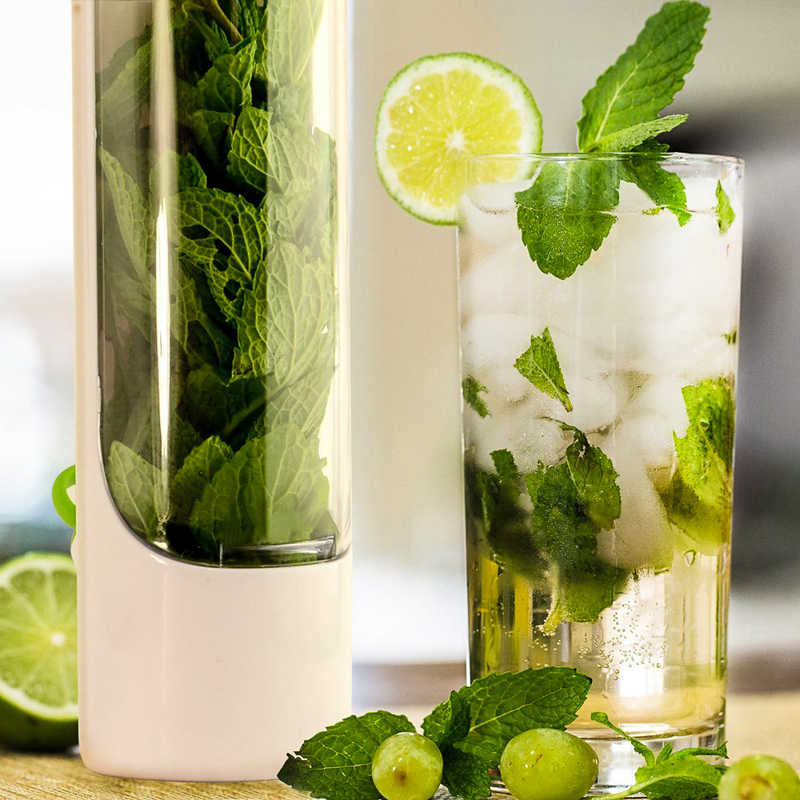 A lemon mint iced tea for anyone who is very over the sizzling heat and very into caffeination during all seasons. Get the full recipe from Paleo Leap. 23. And a guide to growing, drying, and making your own herbal teas to ensure you're a pro at using up herbs in no time! Get the full instructions from Nifty. 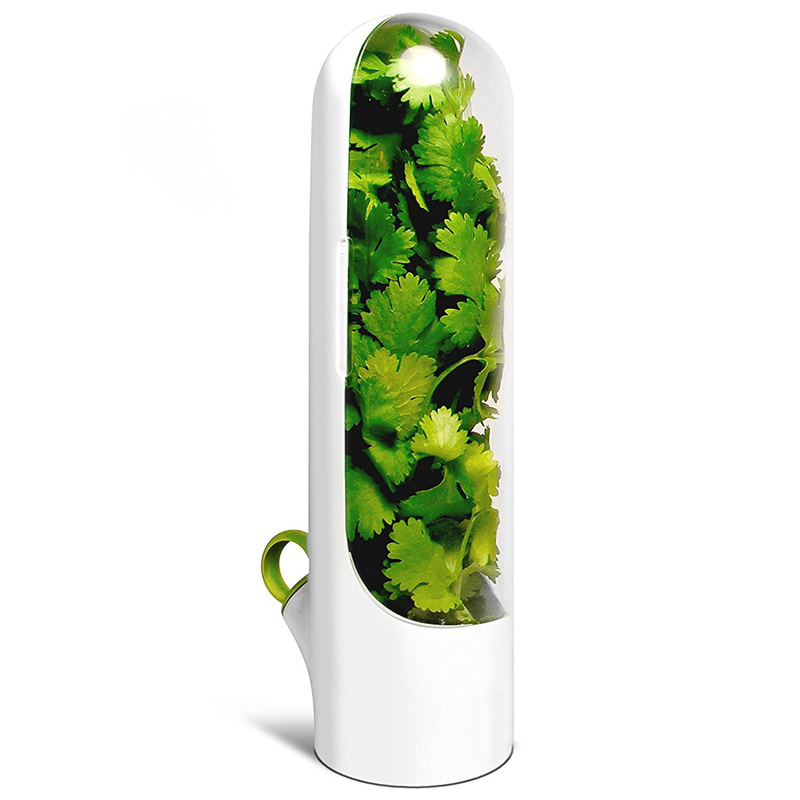 If you love using fresh herbs; but still don't trust yourself to use them up before they go bad (me); try an herb saver to triple their precious lifespan. Get it from Jet for $9.99 or from Walmart for $10.97+.